It was kind a hard step to put this post under specific category, but after thinking a bit hard, we decided to put it under the smartphone category. As we all know that the MWC 2012 is at the corner and every third company is presenting their freshly devices at their best on their booths. So, at MWC 2012, Nokia decided to distribute its freshly devices to the public. Nokia has introduced a new phone named “PireView 808.” and you will be amazed to know about its heavy weight new camera lens that is capable of capturing 41 million pixels, in short the Nokia ProView 808 carries 41-MegaPixel camera lens. Nokia has introduced the ProView 808 with 41 MegaPixel camera lens, but it doesn’t mean that it could actually take pictures on such scale. Nokia has equipped the device with a new-generation camera lens system that obtains pixel depth from neighbor pixels to collect such a big scale image, and compresses into 5 MegaPixel data. Nokia clarifies the tech giants on its ProView 808 that it can take true 38 to 35 MegaPixel images with the high depth camera lens. The device carries a pretty similar physical design to older Nokia devices, and the heavy weight camera lens of ProView 808 looks a little beast inside the smartphone, and appears to be approximately a centimeter in width, depth and height. The device is appeared to be a bully phone in hand, and as well as carry the larger 4-inch display screen with nHD (640×360) pixel’s resolution. Nokia really, a camera beast with a little display? Huh. The ProView 808 also carried the comfort case, rounded edges, and offers a softer, smoother and gripper surface on the mobile device. The device is featuring a single-core 1.3GHz processor, along with 512MB of RAM. 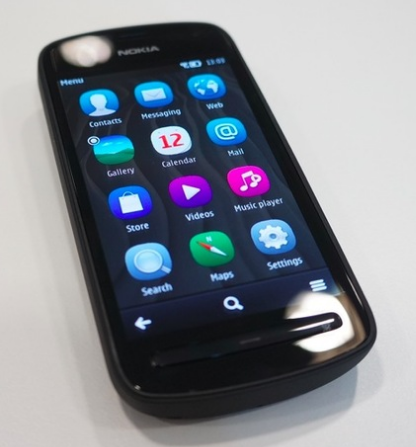 Well, the most distracting feature of the device is Nokia has equipped the device with the old Symbian Belle OS, once again Nokia drew us into the black door, and let us to investigate why they chose Symbian Belle over Windows Phone?